The Kingdom Of El Peurto La Florida is a nation led by President Keelan Kyle on the continent of North America. The Kingdom Of El Peurto La Florida's government is a Democracy with very moderate social policies. Economically, The Kingdom Of El Peurto La Florida favors left wing policies. The official currency of The Kingdom Of El Peurto La Florida is the Orbis Note. At 438 days old, The Kingdom Of El Peurto La Florida is an ancient nation. The Kingdom Of El Peurto La Florida has a population of 1,137,022 and a land area of 15,000.00 sq. miles. This gives it a national average population density of 75.80. Pollution in the nation is almost non-existent. The citizens' faith in the government is completely depleted with an approval rating of 0%. 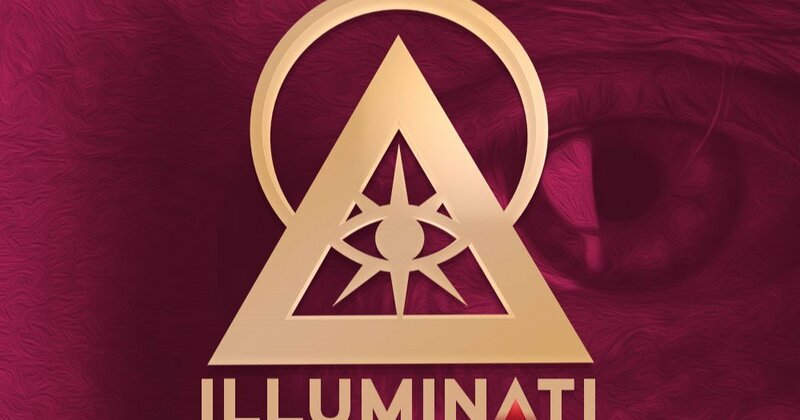 This nation helps to run The Illuminati, a very successful alliance. 04/16 08:16 am - El Peurto La Florida had war declared by Communist State of Sri Lanka for the reason of "I sent you a DM with what I need for peace.". 04/16 06:08 am - El Peurto La Florida had war declared by Assadistan for the reason of "Hasta la vista, baby!". 04/15 03:51 pm - El Peurto La Florida had war declared by United Nation for the reason of "DM me to discuss peace". 04/14 04:59 pm - El Peurto La Florida declared war on Great Country for the reason of "You're a disease, and I'm the cure.". 04/14 04:55 pm - El Peurto La Florida declared war on Penuia for the reason of "We don't like you". 04/14 04:53 pm - El Peurto La Florida declared war on Xinhua for the reason of "Dead men taste like chicken.". 04/14 04:50 pm - El Peurto La Florida declared war on Dolny Slask for the reason of "I am the LAW!". 04/12 03:58 pm - El Peurto La Florida declared war on Kazhad for the reason of "A not-so-general dispute". 04/12 02:57 am - El Peurto La Florida declared war on Inca Empire for the reason of "This, is, SPARTA!". 04/12 02:55 am - El Peurto La Florida declared war on Aressian Kratocracy for the reason of "I couldn't come up with anything better than the default". 04/12 02:53 am - El Peurto La Florida declared war on Iostroecia for the reason of "raid, pm for peace". 04/11 12:37 pm - El Peurto La Florida declared war on Paralen for the reason of "Hasta la vista, baby!". 04/10 12:10 pm - El Peurto La Florida had war declared by The Grand Old Republic for the reason of "Raid. Message me for peace.". 04/10 03:49 am - El Peurto La Florida declared war on Defaults for the reason of "Luke... I am your father.". 04/10 03:42 am - El Peurto La Florida declared war on Indian Rockstar for the reason of "Luke... I am your father.". 04/10 03:38 am - El Peurto La Florida declared war on Legion Etrangere for the reason of "I couldn't come up with anything better than the default". 04/09 05:41 pm - El Peurto La Florida declared war on Istra Heulyn for the reason of "Arrgh!". 04/09 04:46 pm - El Peurto La Florida changed their Color Trade Bloc from Gray to Lime. 04/09 02:03 pm - El Peurto La Florida had war declared by Demacia for the reason of "Yankee". 04/09 10:32 am - El Peurto La Florida had war declared by Shauntopia for the reason of "All your base are belong to us". 04/07 10:17 pm - El Peurto La Florida had war declared by Drekkzonian Empire for the reason of "Inactive raid.". 04/02 03:31 pm - El Peurto La Florida had war declared by Demacia for the reason of "Yeetus the featus". 03/31 11:48 pm - El Peurto La Florida had war declared by Arckania for the reason of "Commies!". 03/27 08:14 am - El Peurto La Florida had war declared by Holy City of Miaukistan for the reason of "This, is, SPARTA!". 03/20 10:41 am - El Peurto La Florida had war declared by 0161 for the reason of "Weak banter". 03/04 03:54 am - El Peurto La Florida had war declared by Sri Emas for the reason of "Get off my plane.". 03/03 10:55 am - El Peurto La Florida had war declared by Ant dominant for the reason of "Yarrrrr.....". 02/20 11:50 pm - El Peurto La Florida had war declared by Blue Klan Crips for the reason of "What it do cuz.". 02/20 10:59 pm - El Peurto La Florida had war declared by Polaria for the reason of "I need the money, sorry". 02/09 12:46 pm - El Peurto La Florida had war declared by The Red Flag Fleet for the reason of "旱鸭子! 死人不会告密! ".